Home \ Audio \ German Chazonim! I recently came into posession of several records of German Chazonim. Cantor Binyamin Z. Barsilai in record above. A Cantor Shlomo Barzilai officiated at the Great Synagogue in Vienna. Today his son Shmuel Barzilai has this position. The record does not identify where this chazan prayed. Click here for a record that seems to have been recorded in the 1960s. The entire Shabbos davening as performed on record by Chazan Dr. Hans Bloemendahl of Amsterdam. He seems to have been somewhat of an icon to our own great Chazan Frankel. Click here for that album. The work of a chazan at the Conservative Synagogue “Habonim” in the Upper-West-Side of Manhattan. The Shul is now defunct? The Chazan was Cantor Erwin Hirsch- a graduate of the Seminary in Wurzburg. Click here for the album. (Mixed Choir). And here for shabbos songs. 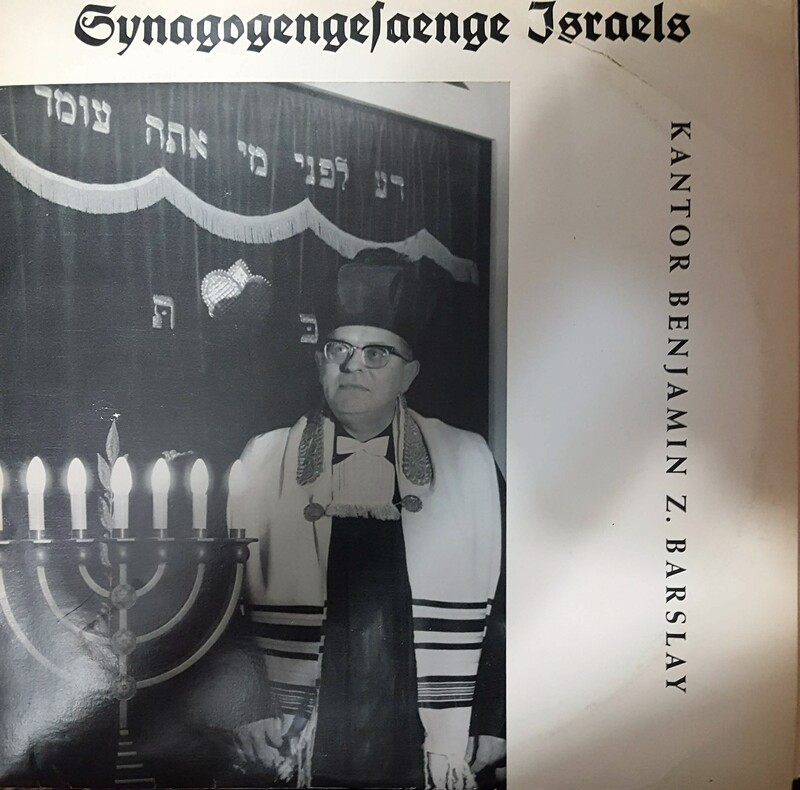 Here is the recording of a Cantor Shlomo Singer who presided in the Inwood Jewish Center after Cantor Slomowitz left in 1967. Cantor Slomowitz is the brother of our late, dear local grocer- and he still davens farun omud- in fact I was pleased to be in attendance this past Friday night as he led the services in Brooklyn. Inwood Jewish Center was never a German-Jewish congregation and this is ala Americana. Listen for the Adon Olam to the theme from exedous. Last track. This is a great resource to teach yourself to daven farun omud in an American Shul. Mussaf only. Bloemendahl Rosh Hashono and Yom Kippur. Here and Here. I don’t know if it makes a difference, but HaBonim was a Reformed Synagogue. Not according to their website…actually, though, in this article from 1951 they are defined as Reform, but “Conservative per American standards”. https://www.commentarymagazine.com/articles/from-the-american-scene-washington-heights/ “there is only one nominally Reform congregation, Habonim; its services, however, would be called Conservative by American standards. ” I posted the music because Hirsch was a Wurzburg graduate and his personal legacy ties to the Orthodox tradition.